Taking the photo is only the beginning. After that there are a myriad of processing choices to make that photo better or different or unique. 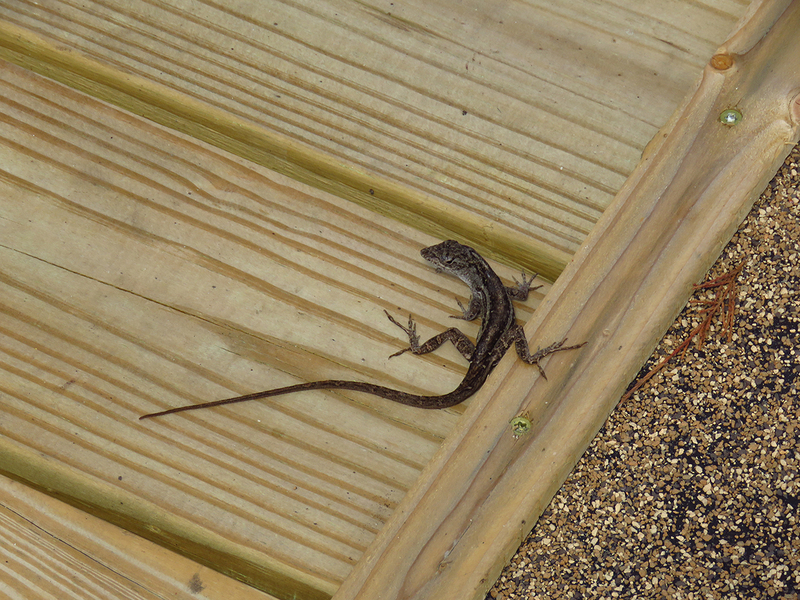 I’ve taken lots of pics of lizards. Florida is loaded with ’em. They’re cute, harmless to almost everything, and they eat bugs and stuff. 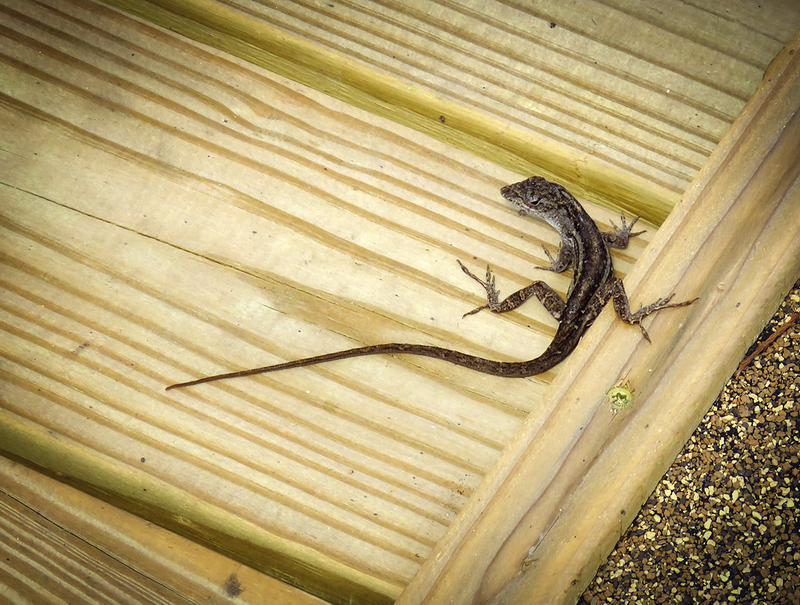 If the Chinese think crickets are good luck, I think Florida lizards are, too. I like having them run around, inside and out. I took this photo at the bridge a couple days ago. This is the original. I looked at that and wondered if I should even bother. I mean, if you can’t do something new with it, why waste your time? But I ran it through the usual filters and adjustments in PS and Luminar. Then I decided to experiment, see if I couldn’t turn it into something that caught the eye. Topaz Glow2 added the colorful neon sparkle. 🙂 Almost looks like something that might exist in nature, eh? Click on the photo to see detail. My point is that an ordinary picture can be made extraordinary or at least interesting with a little work and an open mind. 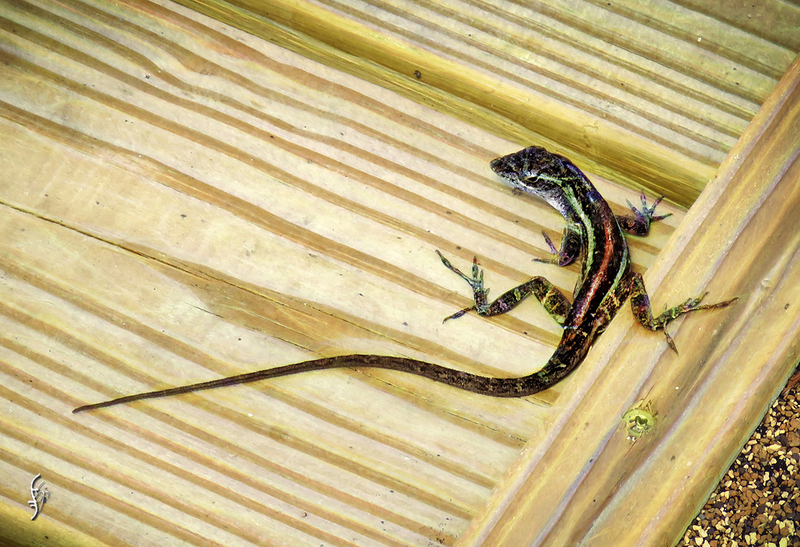 This entry was posted in art, photography, RL and tagged lizard, photography. Bookmark the permalink. Looks like he is activating some magic ability … I guess I have listened to way to many LITRPG audiobooks recently 🙂 I like the enhancements. 🙂 He is an improved, more colorful lizard. While they often offer gorgeous geometric shapes, especially down the back, I’ve never seen one this colorful in real life. Heh.